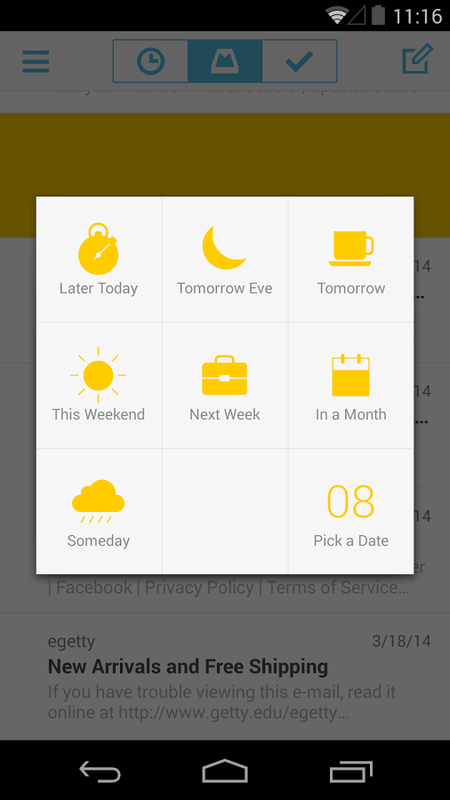 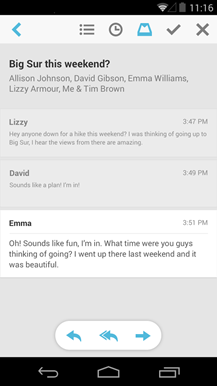 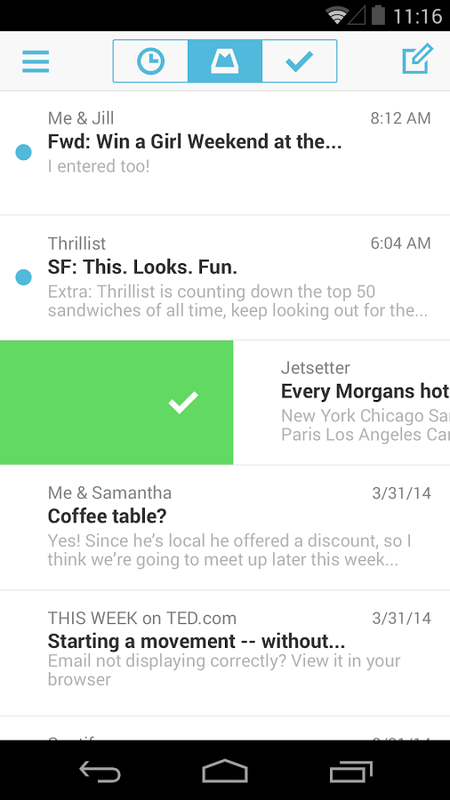 Mailbox's big feature is swipe control. 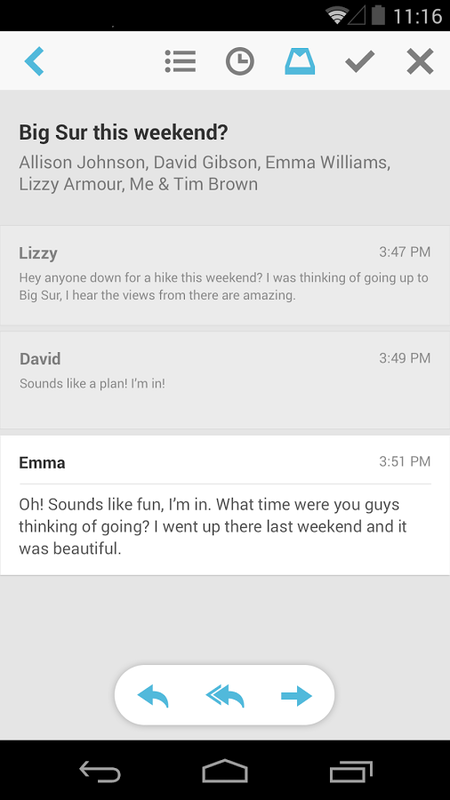 You can swipe left and right on messages for different actions, but the length of the swipe controls the effect. For example, a short swipe to the right archives, but a long swipe deletes. 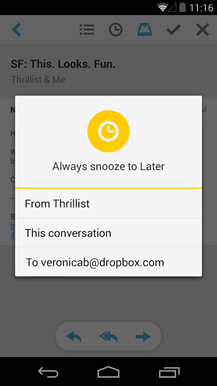 You can also set emails to be redelivered later as a reminder, or add them to lists. 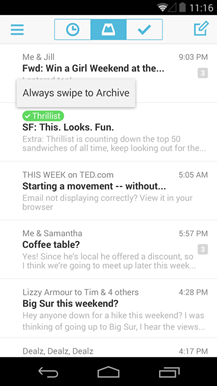 Mailbox supports threaded conversations and uses Gmail labels so you don't end up with a bunch of wonky message formatting when you access the account from other devices and apps. 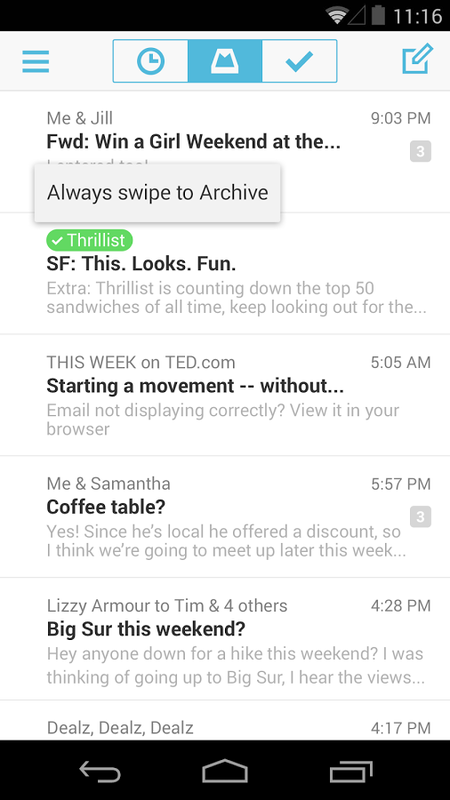 The Mailbox app also introduces a new feature today called Auto-Swipe. 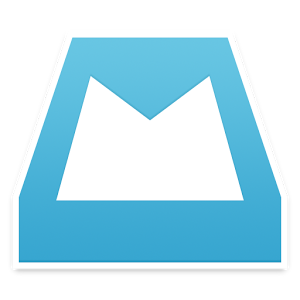 Mailbox learns from your swipes to automate some actions, then it syncs those settings across instances of Mailbox using your Dropbox account. Mailbox is coming to desktops too, so this might be of great use later. 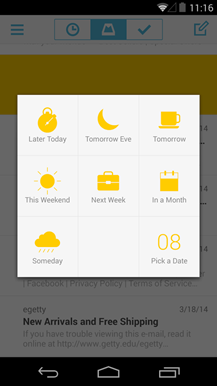 The app is responsive and has an inoffensive design, though it does have a bit of an iOS vibe in places. 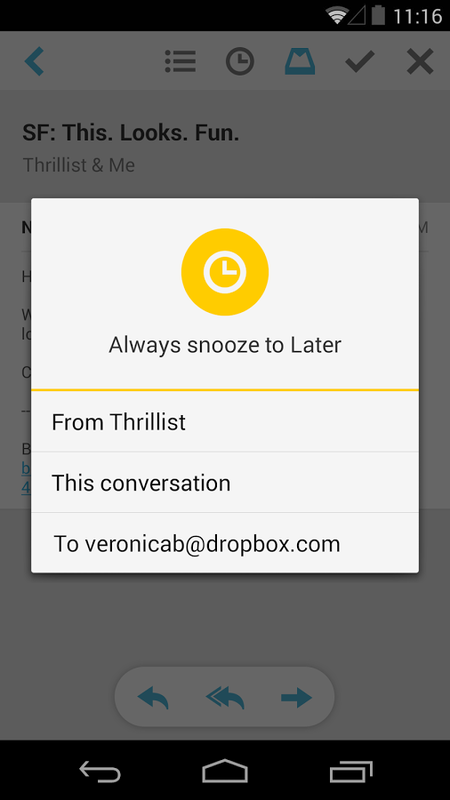 There's also an odd pop-over notification bar at the top of the screen. 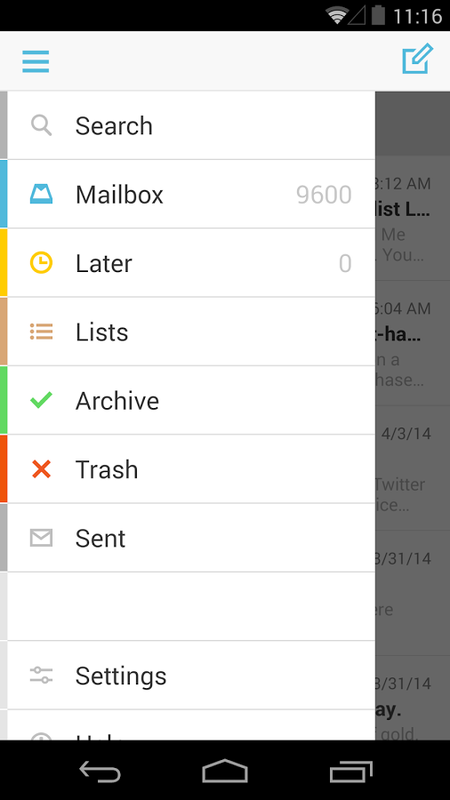 Still, not bad for an initial release.